Join Captain Sebastian the Black and his crew as you set sail for adventure! 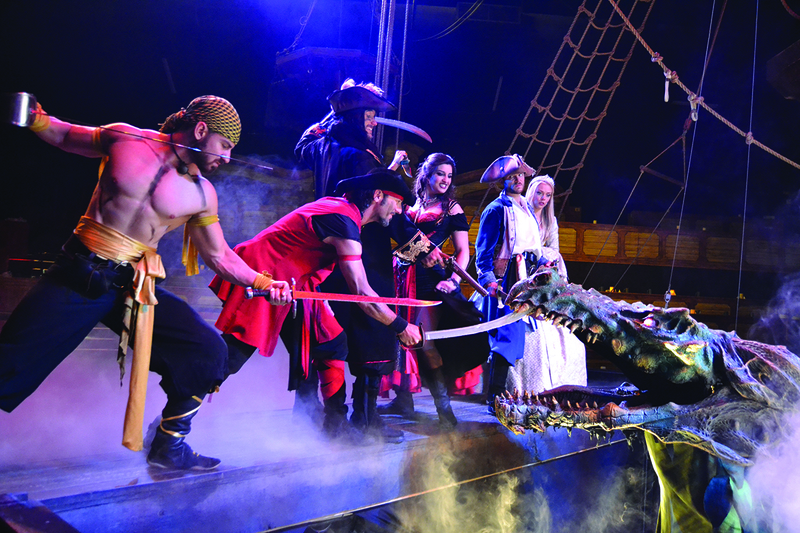 Get swept up into a classic story of good versus evil at Pirates Dinner Adventure in Buena Park as you dine on a feast fit for a pirate! Kids and adults alike can get involved in a night of action, adventure, comedy and romance. An authentically replicated 18th-century Spanish galleon is anchored in a 250,000 gallon indoor lagoon, complete with night sky lighting! 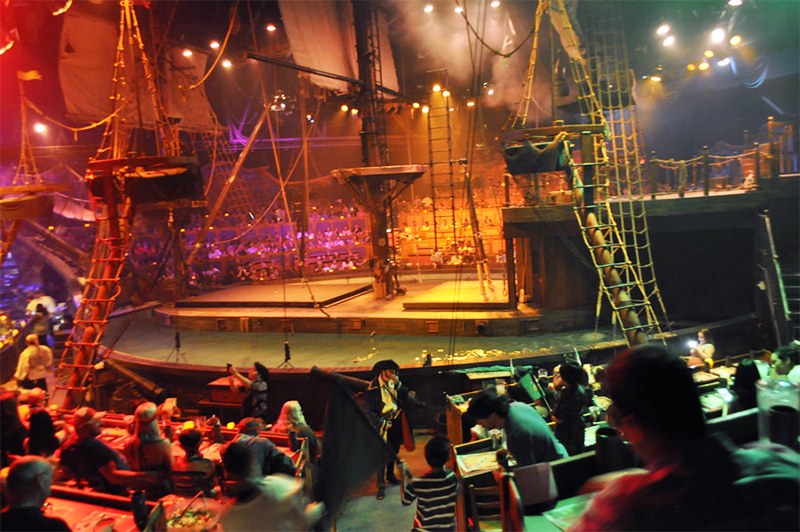 Surrounding the lagoon is a six-sided showroom of "ships" where the audience is seated to enjoy the show. Voyagers on each of the six ships have their own fearless pirate "mascot" whom they can cheer on as the adventure unfolds with a cast of a dozen actors, singers and stunt performers engaging in a bounty of action-packed exploits, accompanied by cannon blasts, pyrotechnics and a liberal dose of wit and wizardry. 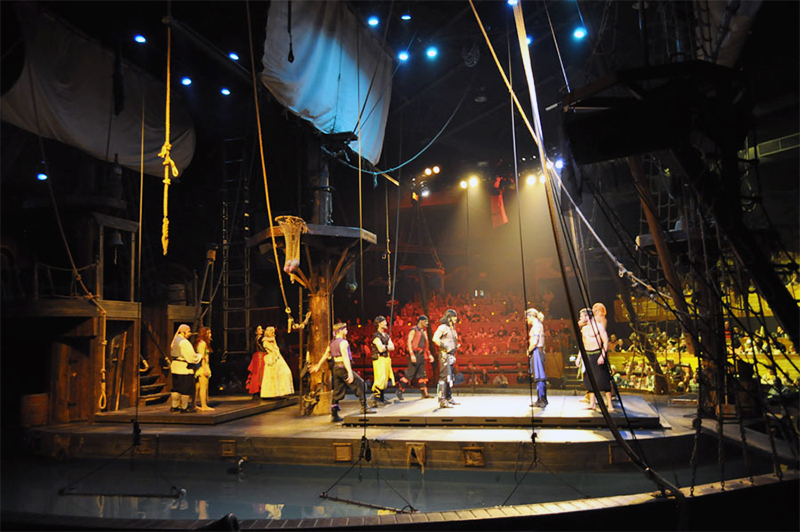 In addition, more than 150 guests have the chance to play an actual role in each show as the evil Captain Sebastian the Black leads his crew of renegades to the ship, taunting "villagers" (audience members) along the way. Even youngsters can be part of the action! Lads, lasses and scallywags of all ages don costumes to bring the adventure to life. 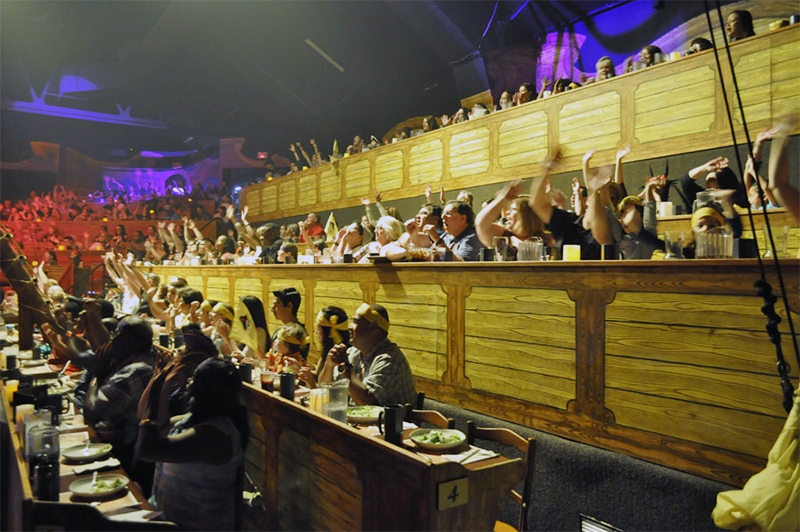 Up to 150 volunteers participate in this epic production, truly making it the “World’s Most Interactive Dinner Show." 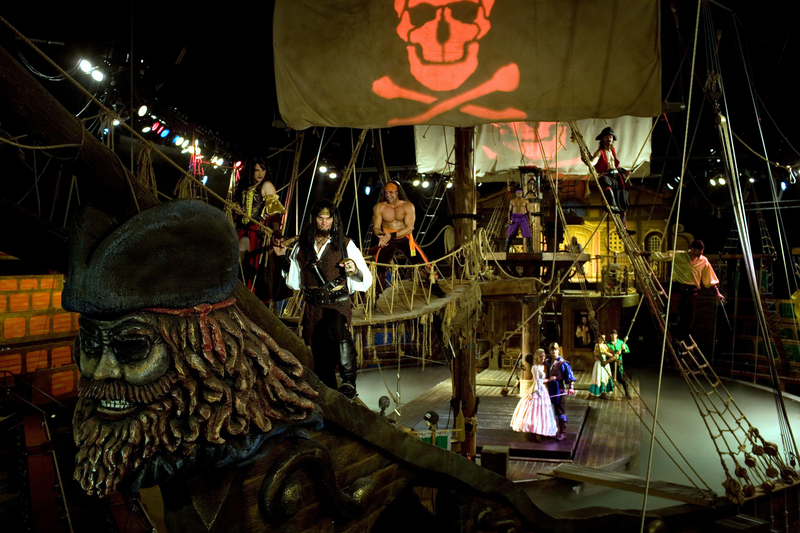 For one shining moment, the fantasies of would-be pirates of all ages become uncannily real in the interactive arena of Pirate's Dinner Adventure Buena Park! Adult Dinner and Show, Buena Park, CA. Valid for one show now thru 12/30/2019, except not valid on New Year's Eve or Valentine's Day. Includes tax. Reservations are required. Child 11 years and under, Dinner and Show, Buena Park, CA. Valid for one show now thru 12/30/2019, except not valid on New Year's Eve or Valentine's Day. Includes tax. Reservations are required.